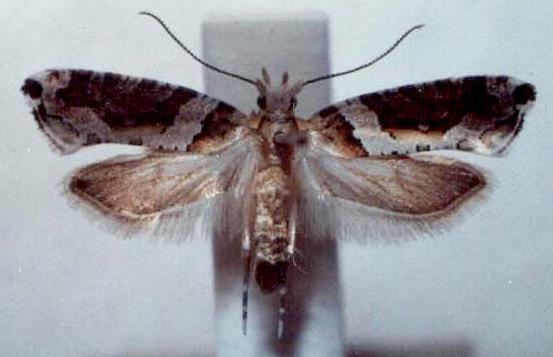 The adult moth is dark brown with a broad white bar across each forewing. The hindwings are white shading to brown at the wingtips. The moth has a wingspan of about 1 cm. Volume 32 (1907), pp. 139-140, No. 274.